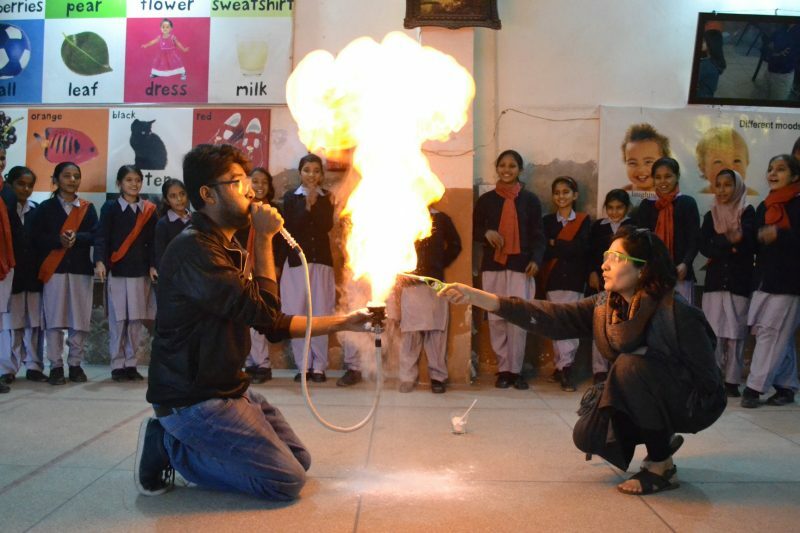 We organise unique, fun and engaging science-themed shows to engage young minds. 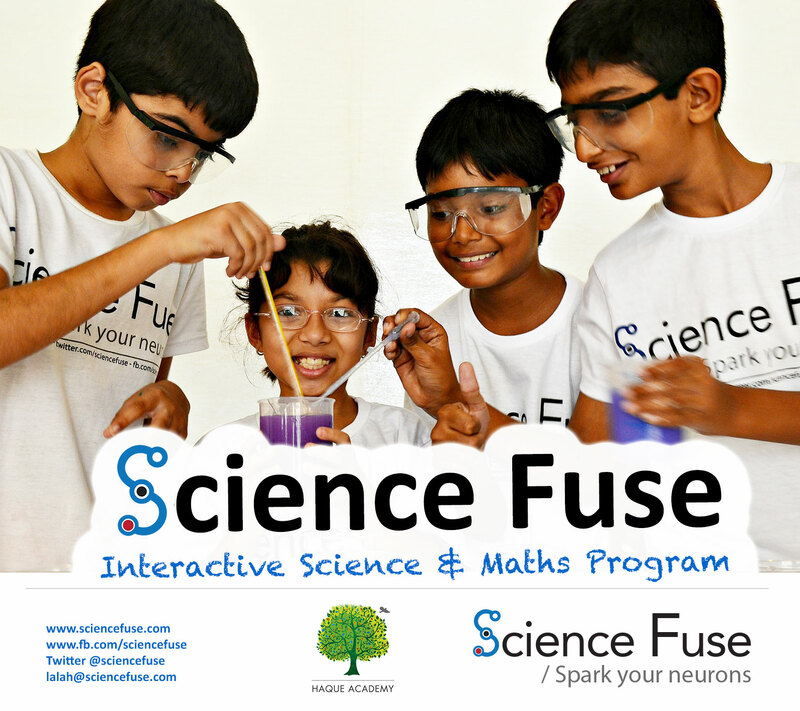 Science Fuse offers an annual summer school program where young learners aged 8 – 12 years get an opportunity to become junior scientists and engage in hands-on activities. 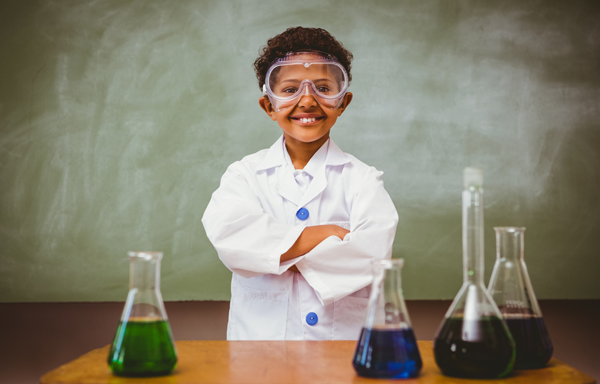 Our spectacular workshops offer hands-on activities, and real world discussions make learning about science and mathematics fun for young learners. 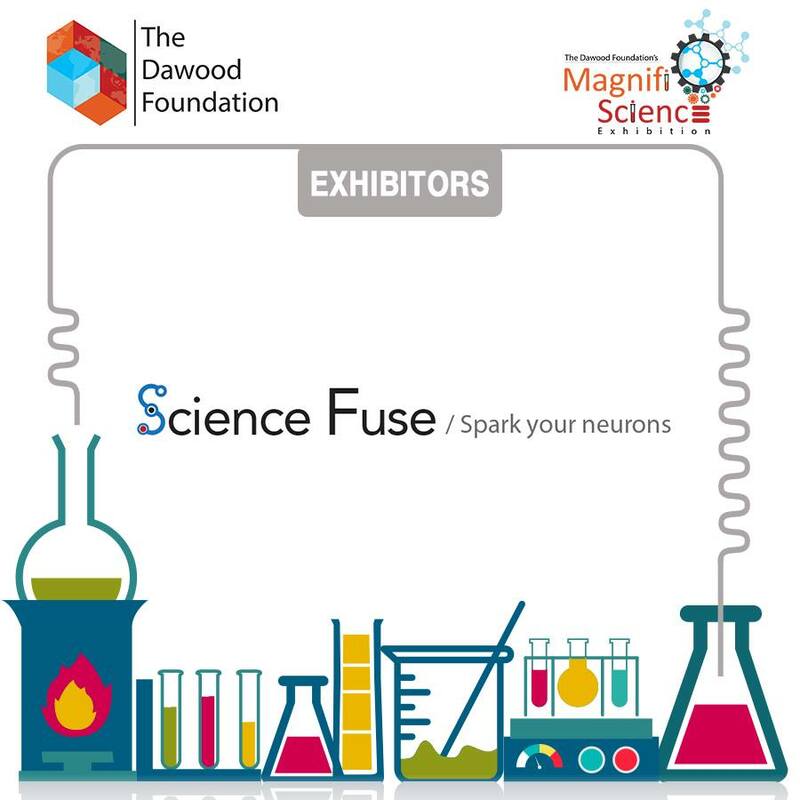 Science Fuse organises science-themed shows to engage audiences with STEM as part of popular culture. 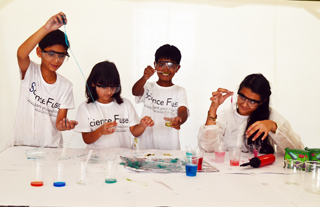 Our Science Shows can be customized to suit any group size, budget or time frame. We focus on creating a fun-filled classroom ambience. Our aim is to inspire the next generation of STEM leaders. 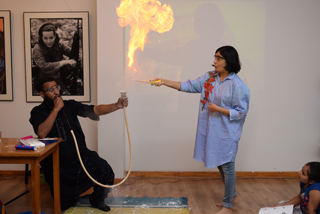 Science comes alive during our programs.
" I did not yet know what electrons, protons and magnesium were so our kind teacher Lala Rukh told us about them in full definition. It wasn’t 1% awesome, it was 100% Epic." "Excellent way to get kids interested in science." "Brilliant opportunity for children from low income areas to be part of a fun and stimulating educational experience." "I’ve learnt about atoms, electrons, molecules, cells and about the DNA code which we didn’t know. It has been a lot of fun. I would like to join this summer camp again sometime."